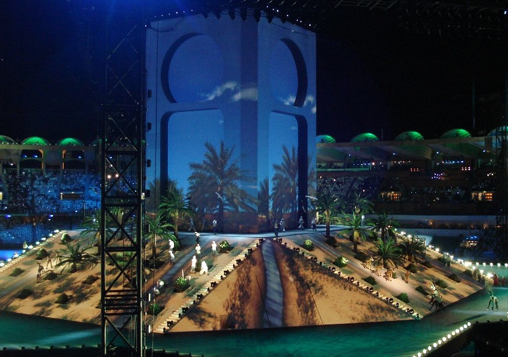 UK Production Company Done and Dusted, show designers Studio Fish and production director Nick Levitt got us involved with the event to celebrate the 40th anniversary of the creation of the United Arab Emirates. Lucky Frog designed the projection and playback system, and took control of the whole timeline management of the show. We used 80 Christie 20k projectors to accurately projection map over the four sides of the 30m high structure built in the middle of the stadium and 12 channels of VVTR controlled by Medialon ran the video and audio content playback. 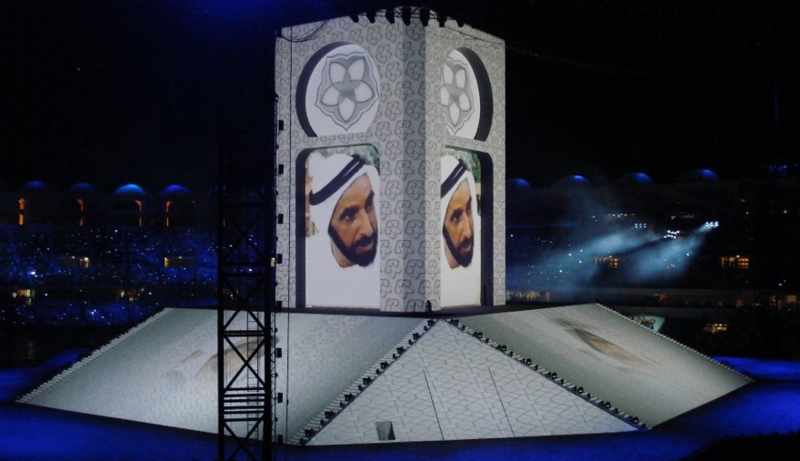 The show was considered a great success and marked the 40th anniversary of the creation of the UAE in great style.